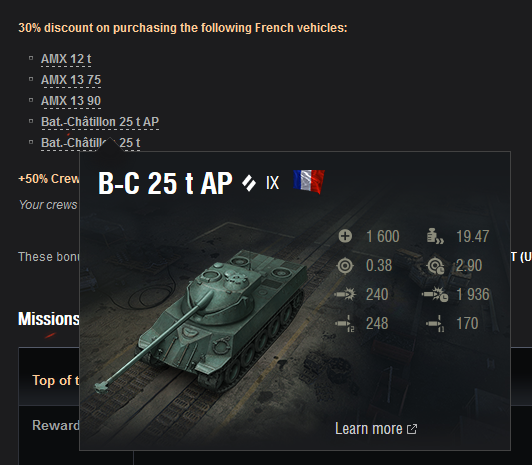 I’ve published this three weeks ago, but just a refresh to everyone on EU Server: Top of the Tree for November is the Bat.-Châtillon 25 t.
Important: November Top of the Tree is the final one in 2016! Afterwards, the event will go on a break for two months, making its come back in February 2017. But fear not, the end of the year will be pretty packed with discounts and bonuses, so you will not be missing out on anything! Meanwhile, why not join the forums and let us know what you want 2017 edition of Top of the Tree to look like? We are waiting for your suggestions, ideas and questions! Next Entry World of Warships – Steven Seagal is on Board!